Press the F1 Help function key to launch the quick reference web page. Manifold works with projects - a project is everything in the Manifold desktop. Download sample projects from the Examples page. File - Open will open a Manifold project file in .map or .mxd format. 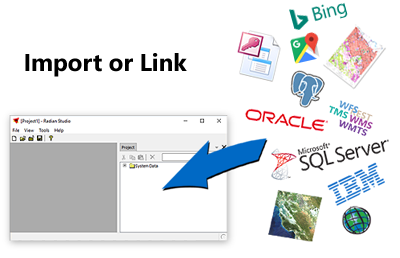 Open GIS files from many different formats using File - Import. Edit GIS files "in place" using File - Link. Connect to DBMS and web servers using Create - New Data Source. File - Open launches a Manifold .map or .mxd project file. File - Import brings in a new component, like a shapefile or a GeoTIF image, into the project. Always run the latest version of Release 9 or Viewer. If you cannot open a Release 9 .map or .mxb project file, install the latest version of 9 or Viewer and try again. Older versions of 9 or Viewer might not be able to open projects created by the very latest build. New builds are free to download from the Free Updates web page. A Manifold project contains tables, images, drawings, maps, data sources, queries, scripts, and more. These are called components. There is nothing technical intended by that name. It is just a generic, neutral word that means "an item in a project." Tables - Store all data in Manifold. Everything is a table in Manifold. Drawings and images are just viewports that show data in some table. Data sources - Can be any one of a seemingly infinite variety sources for data, such as almost all file formats, almost all databases either as server DBMS or file databases, and almost every web-based source that is known in GIS, such as tile servers, OSM sources, WMS, GEOJSON servers, WFS, WMTS, TMS, Bing, Google, and many others. Manifold can import or link a truly staggering range of data sources. File - Create - New Data Source adds a data source to a project. The Project pane shows all the components in our project. Saving a project saves all the components in the project into a Manifold .map project file. The Contents pane shows information on the active component, and it provides control panels to manipulate that component. Manifold System is built on Radian technology for the fastest GIS ever. Nothing is faster than opening a Radian format Manifold .map file. It opens instantly. Launch Manifold and it opens with a new, blank project. Launch Manifold and use File - Open to open an existing .map project file. Or... drag and drop a .map file from Windows file explorer into an open Manifold session. Launch Manifold and use File - Open to open a Release 8 .map file. Wait for the slow import while it is converted to the new .map format. This is a one-time hassle. Once your project is saved to the new .map format it will open instantly in Manifold. Important: Manifold always saves to Radian format .map files. After opening a Release 8 .map file, Save as to a new name if you want to retain the original in Release 8 format. For new projects, the fastest way to work is to import data into Manifold and then save everything in a Manifold .map project. Manifold .map files open instantly, even when they are huge. Migrate the data you use into Manifold .map storage from other formats. Export to legacy formats for interoperability, but enjoy the unbeatable speed of Manifold .map projects for your own work. Import tables, drawings, images and other data to the project. That brings the data into Manifold and stores it within the project for maximum speed and maximum capabilities. Manifold can read virtually every format and data source in existence. See the Big List of Formats and Data Sources topic for the huge list. Link data from outside sources. That makes the data available within the project as if it had been imported, but leaves the data stored outside of the project. Links leave data "in place" in its original format. Most formats are slower and more limited compared to Manifold. Create a Data Source. A more sophisticated, flexible way of linking data from many different formats and sources. This is how we connect to database servers like Oracle or to web servers like Google and Bing. Link an existing Manifold .map file into the project. Use data stored in other .map files with zero overhead and no performance hit. Maintain huge archives of data in .map files and link whatever you want into your project. Multiple sessions: Launch Manifold more than once with different projects. Copy and paste between different sessions. Create new stuff. Use automatic tools like queries and scripts to create new components, or create them manually with editing tools. Now that you have Manifold, use it for everything. Projections - When importing or linking, Manifold automatically reads the projection, if specified. If no projection is specified, launch Assign Initial Coordinate System in the Contents pane to specify the correct initial projection for the imported or linked component. See the Example: Import a Shapefile topic for an easy example. Cursor mode buttons appear in the main toolbar for an open window: Click the mode button to enter that mode. The mode persists for that window until we click a different button. Buttons to create areas, lines, or points will be enabled for drawing layers. The right-most mode button is the tracker tool for measuring. The default mouse cursor mode is navigation. Click and drag to pan the view. Right-click and drag to zoom box. Double-click to open a component. 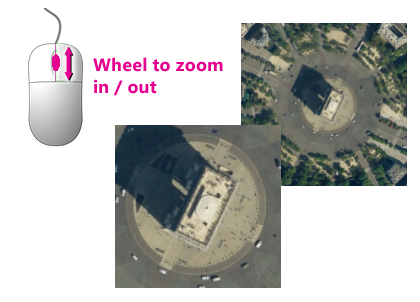 Right-click and drag to draw a zoom box. Click and drag to move the view. Wheel mouse to zoom in and out. Back and Forward arrows on the toolbar go back and forward in views. Zoom buttons on the toolbar will zoom to fit, zoom out and zoom in. Undock / Dock a tab by Alt-clicking the name. Press the F1 Help function key when a window is open to get a list of keyboard shortcuts available for that window. Tables: All data in Manifold is kept in tables. Tables can be huge in Manifold. Table windows show tables in a classic, row and column presentation. When tables are big we work with them using queries. 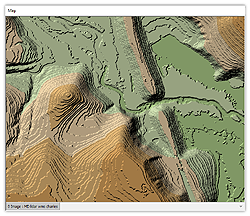 Tables can contain geometry data for vector drawings and tile data for raster images. Drawings, labels, and images visualize data from tables. They do not contain any data: they just show data from a table based on what their properties tell them to show. Maps have layers that are drawings, labels or images. Data from the same table can be used at the same time in many different drawings, labels or images. Different drawings, labels or images all can use different Styles. Image servers and other web servers show the entire world with godlike power. We often use them for background layers in maps. Change appearance: Use the Style panel to format drawings, to format labels, and to style images. Interactive Edits: Edit tables, edit drawings and edit images in windows. Drawings and images visualize data from tables. To edit a drawing or an image, the table it visualizes must be editable and must have an index. If a table has a light gray background in all of the columns it is not editable. See the Editing Tables topic. Contents pane: Shows key information about whatever window or layer is active, and opens panels providing editing and formatting. Use the Contents pane to assign an initial coordinate system or to re-project a drawing or image into a different coordinate system, to view field values for objects, to support editing and much more. Command Window: Write and execute SQL queries or write scripts. The Command Window is the first stop for SQL wizards. Automatically parallelize a query by adding a THREADS SystemCpuCount() command. Transform Panel: Endless capabilities for manipulating data using point and click templates or SQL expressions. The power of SQL for everyone. Select Panel: Select records and objects using point-and-click templates or SQL expressions. Save and recombine selections. Superb, intuitive selection of exactly what is desired. Scripts: We can do anything with SQL. We can do even more with programming. Viewer is read-only. Viewer cannot save, export, or print. Save the project in a .map file with File - Save or File - Save As. Export tables, drawings or images to many different formats. File - Export Project to save a project in archival, maximally compressed .mxb format. Linked items and data sources are automatically updated either immediately or when we save the project, depending on the data source. Convert an entire linked data source, like an entire PostgreSQL server, in a single step into Manifold .map project format by right-clicking on the data source and choosing Export, to export to a .map project. Manifold will automatically harvest all the drawings, images and tables and create a .map project that stores them all. Switch to a different project by, choosing File - Open or File - New. Manifold will prompt to save any changes before closing the current project and moving on to the next project. Compose and Print a layout to share work as a PDF or printed material. Print a map, drawing, image, or labels window to PDF or hard copy using Print Preview, which creates a virtual layout on the fly that can be immediately printed. Exit Manifold using File - Exit or by clicking on the red X button in the upper right corner. Manifold will prompt if any changes have not been saved. Watch the videos in the Gallery page. Read the topics in the Basics chapter. Participate in the georeference.org user forum. A great way to learn SQL with Manifold is to ask Manifold to automatically write SQL for you and then to copy and adapt what Manifold creates. See the SQL Example: Learning to Union Areas in SQL from Edit Query topic for an example. Use the web and read books on SQL. It's easy to learn and incredibly powerful. Manifold applies the default projection listed in the Tools - Options dialog when creating new components. The factory default projection used by Manifold is the WGS 84 / Pseudo-Mercator (EPSG:3857) coordinate system that almost all web servers use. 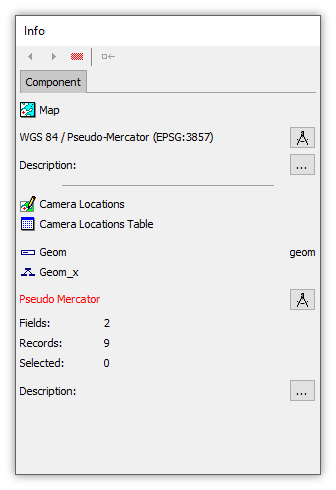 Newer GIS packages, like ESRI's latest ArcGIS offerings, also use Pseudo-Mercator as a default. When we create a new, blank map, it too begins life using the Pseudo-Mercator projection. The map then automatically takes on whatever projection is used by the component that is the first layer added to the map. Older GIS packages often use Latitude / Longitude as a default. We can change the default projection in the Tools - Options dialog if we like, but there are pluses and minuses to switching to Latitude / Longitude instead of Pseudo-Mercator. The modern way to do map backgrounds in almost all modern GIS packages is to use web servers to automatically generate the background map layer. By a margin of about a million to one such web servers use Pseudo-Mercator as their projection so it makes sense to use that same projection as a default for new components and maps in Manifold too. 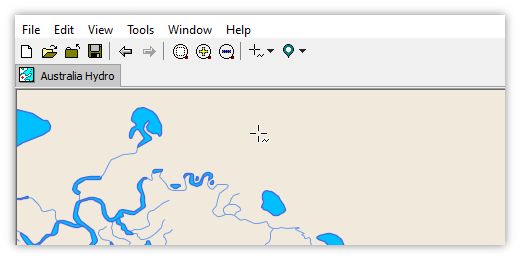 Many newer GIS packages also use the same WGS 84 / Pseudo-Mercator (EPSG:3857) projection by default, for example, ESRI's latest ArcGIS family products. Another big reason to use Pseudo-Mercator as a default is that the units of measurement are sane, linear units: meters. That makes it much more difficult for beginners to massively goof up measurements, as routinely happens when people use Latitude / Longitude without realizing that the units of measurement are degrees, which change size depending on latitude. Manifold understands and can work with over 6500 coordinate systems, including all coordinate systems and transformations specified by the vast EPSG system. When importing from or linking to a data source that conveys coordinate system information Manifold will automatically use the coordinate system specified for the data, including any projections specific to the data source, such as SRID designations of coordinate systems used by a particular data source. See the Projections topic to learn how to work with projections in Manifold. Manifold maintains coordinate system information in JSON format to enable easy interoperability with third party code. When exporting data to a file Manifold will write a .MAPMETA accessory file saving the JSON coordinate system information in plain text. When exporting to shapefiles, Manifold will automatically write a .prj file with projection information as well. Importing or linking a file will create Manifold infrastructure for what is coming in. For example, import an image from some file format like JPEG or TIFF and Manifold will create two components: a table component for the data plus an image component that displays the data in the table. 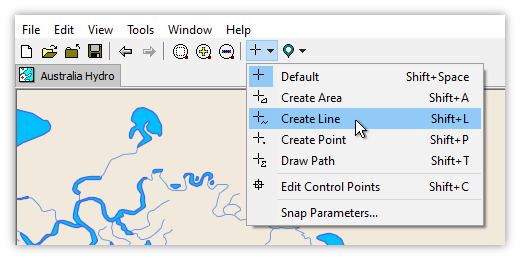 Import an ESRI shapefile and Manifold will create a table for the data plus a drawing component that displays that data. The variety of data Manifold can import includes virtually every format and data source in existence. See the Big List of Formats and Data Sources topic for the huge list. Importing a .csv file with one table in it will create a table. Importing or linking a file database like an .mdb could create hundreds of tables, queries and other components at once. Connecting to an enterprise class DBMS might involve thousands of items, neatly organized within the hierarchical structure of the DBMS as revealed by Manifold. Browse into the folder where the file is located. Manifold uses Microsoft drivers to connect to Microsoft .mdb, .db, .html, .xls, and .wkx file formats. Because of Microsoft limitations on using 32-bit Microsoft software in 64-bit Windows systems, to connect reliably to those Microsoft file formats in 64-bit Windows systems we should use 32-bit Manifold. Every Manifold license provides both 32-bit and (if our Windows system is 64-bit) 64-bit Manifold, so when desired we can always launch Manifold in 32-bit mode to enable use of 32-bit Microsoft drivers. See the discussion in the MDB Files in 64-bit Windows essay. If necessary, launch Assign Initial Coordinate System from the Contents pane to specify the coordinate system used. Modern GIS data formats will specify the projection used by the data. When a format provides projection information Manifold automatically will utilize that information to correctly set the projection used by the data. When importing GIS data from a file format which does not provide projection information, when we open that drawing or image Manifold will warn us that was imported from a spatially-clueless format by showing the coordinate system read-out in red text in the Contents pane. That tells us we must launch Assign Initial Coordinate System from the Contents pane to assign the initial coordinate system manually. ESRI shapefile format uses 1970's technology but it is still the most widely used GIS format for interchange. A "shapefile" is an ensemble of at least three files, ending in .shp, .shx and .dbf, and, if we are lucky, a fourth file ending in .prj. If a shapefile has a .prj to specify the projection, Manifold will read the .prj and the shapefile will be imported using the correct projection automatically. If a shapefile does not include a .prj file, we must specify the projection the shapefile should use. If we fail to do that the shapefile might look OK but it will be junk data that will waste our time later on. 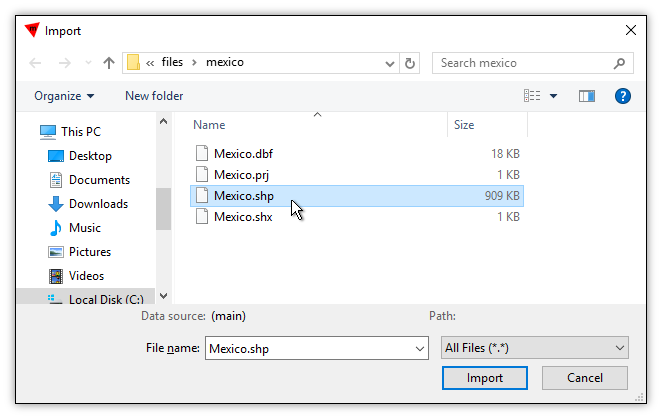 Browse into the folder where the shapefile is located. In the Project pane, double-click the drawing created to open it. In the Component panel of the Contents pane, note the coordinate system. If the coordinate system is given in black color, Manifold automatically detected and assigned the right coordinate system. Done. If the coordinate system is given in red color, click the coordinate picker button and choose Assign Initial Coordinate System to specify the coordinate system. For a step-by-step illustrated example, see the Example: Import a Shapefile topic. See the SHP, Shapefiles topic for additional discussion. See the Example: Detecting and Correcting a Wrong Projection topic for what happens when a shapefile is imported with the wrong projection. Manifold at present is limited to two billion records in a single table. Each individual record can be extremely large, allowing terabytes of data per table, but at the present time there can be no more than two billion records per table. That limit is an arbitrary setting on temporary caches and other internal structures. It could be increased in future updates should user demand require. As a practical matter, Manifold can address such large memory that we will run out of physical resources on a machine, like disk space, before we hit Manifold size limits. However, one limitation may be touched by users of very large data on the desktop: Although there is no theoretical limit to the size of data Manifold can work with on the desktop a hard limit on the amount of data that can be changed in a single operation is 256 GB. For example, if we have a single image that is 1 terabyte in size we can display that and manipulate it but if we want to change all of the values in all of the pixels in the image we will have to do that in four operations, each up to 256 GB in size. The 256 GB limit is the current, somewhat arbitrary setting on temporary caches utilized internally by Manifold. It could be increased in future updates should user demand require. Nothing is faster than Manifold / Radian .map format - Watch the YouTube videos to see the eye-popping speed of the Radian engine .map format used by Manifold Release 9. Three Letter Extensions - Most file names in Windows end in what is called a three letter extension, which is usually three letters at the end of the file name following a dot . character. The three letter extension is one way Windows at times (but not always) keeps track of what a file is supposed to be. Unfortunately, by default Windows hides the three letter extensions of files and instead tries to associate files with icons of whatever program is normally associated with that file. This is confusing when working with the many file formats that Manifold and similar products utilize. Therefore, please turn off the hiding of extensions by Windows. A typical way to do so in most versions of Windows would be from Windows Explorer, choose Tools - Folder options, press the View tab and then in the Advanced Settings pane ensure that the Hide extensions for known file types is unchecked. Press the Apply to Folders and then press OK. You will then be able to see extensions such as .map and others. See also the Essay on three letter extensions and why the default hiding of them by Windows is such a bad thing. Why import and then work? Consider image formats: there are hundreds of different image formats, all with their own limitations. Instead of forcing us to learn a hundred different ways to work with images, taking into account the limitations of each format, Manifold does a conversion when bringing an image into Manifold so we only need to learn about images in Manifold. To export that image out to some other format Manifold will do a conversion outbound. When an image is imported into Manifold, it is no longer a JPEG or PNG or TIFF image. It is a Manifold image. If we want to save it as a TIFF Manifold will convert it into a TIFF on the way out. Why create a table to import some small JPEG? Because everything is stored in a table in Manifold, even small images from a JPEG. That means nothing is hidden in some secret handshake form. All data is there in a table where the SQL you already know allows you to get your hands on the data and do what you want with it. Don't know SQL yet? That's missing a great opportunity to slice and dice data with the greatest of ease. You'll learn quickly enough (it's easy) and until you learn you can use Transform panel templates without knowing any SQL at all. About .map files - Manifold stores data in .map format project files. A Manifold .map file can be interchanged by all Manifold products that are built upon Manifold's hyper-speed Radian engine. ".map" stands for Manifold Project, the file database format used for all Manifold database and GIS products. In a time when disk space is endless and cheap and human time is limited and expensive, .map files are designed to be as fast as possible and not as small as possible. Saving a big table or image in a .map file will usually result in a bigger file on disk than other formats but almost always the result will be far faster operation. Important: When opening a .map file created by earlier Manifold products, Manifold always converts a pre-Radian .map file into Radian .map file format. Using File - Save or File - Save As thereafter will save the project as a Manifold .map file which Manifold products which do not use the Radian engine (such as Manifold System Release 8 or prior) will not be able to read. Use File - Save As to save to a new name in Radian .map format without altering the original, pre-Radian .map file name. Important: Linking a pre-Radian .map file or creating a new data source based on a pre-Radian .map file will also cause that .map file to be converted into Radian .map file format. Make a backup copy of any pre-Radian .map files you wish to retain in the old format before you open them or use them in a Manifold project. MAP files and MXB files - For everyday work we want our projects to open instantly, save instantly and operate at eye-popping speed. When exchanging data or saving archives for long-term, rarely used storage we want our projects to be as compressed and as small as possible. To serve both needs Manifold has two formats for project files: super-fast MAP and super-compressed MXB. Manifold .map format provides phenomenal speed and capacity for everyday work. Manifold .map projects pop open instantly, save instantly and can be nested with links within projects to other projects with zero loss of performance. Manifold .mxb files are highly compressed files that archive a project in the most compact possible form. They are perfect for creating the smallest possible project file for exchange over Internet or for archival storage. Manifold ODBC driver - The Manifold ODBC driver makes it easy for other applications to read/write Manifold .map files as well. See, for example, the Example: Create an ODBC Data Source with Windows topic and similar examples. Dataports: A dataport is a Manifold module that interacts with file formats, databases and other sources of data. When we import data from a given file format, say, from shapefiles, we are calling the dataport for shapefiles. Please note: While it may be convenient to leave data within original formats, such as shapefiles as often encountered in GIS, doing so means living within the limitations imposed by those formats. Older formats may be fine for small amounts of data but when larger amounts of data are involved they can be slower than Manifold .map files and they often have limitations such as no ability to mix vector types, limits on data types, limits on size or other limits. Using .MAPCACHE can deliver impressive speed even with older formats but even so using Manifold .map format is almost always faster, usually much faster, for larger files and .map format does not suffer from the content limitations of older formats. Read-only layers - Projects can contain read-only components. For example, an image layer from a Google web server will be a read-only layer in our maps (Of course - Google does not let us edit the images and maps that Google Maps serves.) For example, we can create a data source from a database and check the read-only box to make everything we bring in from that database, such as drawings or images, read-only. Some formats are always read-only when linked into a project. When the focus is on a read-only layer, commands that require writing, such as a Paste command or buttons to create areas, lines, or points, will be disabled, since they cannot be used. Copying and pasting between sessions - When copying and pasting between different Manifold sessions remember to copy all parts of a component. An image component, for example, is just a display module to show the contents of the associated table which stores the tiles for that image. To copy an image from one Manifold session to another we must copy and paste both the image as well as the table for that image. Docked and Undocked - Manifold allows us to undock panes and windows and to move them around our Windows desktop as we like. We don't have to keep undocked Manifold windows and panes within the boundaries of the main Manifold desktop. Reserved names - All names starting with mfd_ (case not significant) are reserved for use by the system. Names for fields, indexes, constraints, tables, components other than tables, properties... everything. Do not name anything beginning with mfd_ or MFD_ or in any upper or lower case combination of those characters. Mnemonic names - It helps to name data sources to know their origin at a glance. In the example recommended above we use Books MDB as the name of a data source so at a glance we are reminded the data source is an .mdb file having to do with books. But if we forget, hovering the mouse cursor over a data source displays a tooltip that shows the origin. If the data source has information in the Description property the description will be shown in that tooltip instead. Saving Data Sources - The Project pane tracks any unsaved changes for data sources that support saving, including the root .map file itself. Data sources with unsaved changes will be displayed using a different icon that shows an asterisk * in the lower right corner of the icon. Making changes via a script to a data source that supports saving may require a few seconds before the icon is updated. If a data source does not support saving the icon will not change and the Project pane context menu command for that data source will not include a Save command. Manual data entry - The idea of manually creating components and manually inputting data is not so far-fetched as it may seem. 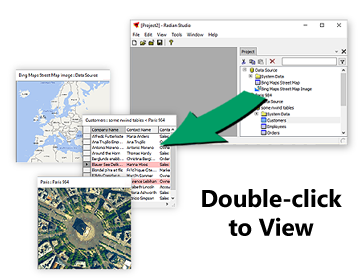 For example, we can create points in a drawing by clicking on locations in a drawing in a map using a lower layer (a satellite image or map from a web server) as a guide. Whether we are marking trees, fire hydrants or archeological relics it is often possible to rapidly click and create hundreds of points or areas or other features per day. Over a surprisingly short period of time many thousands of records can be accumulated as the result of manual data inputs. Table Nomenclature - When writing about tables we will often use the words row and record interchangeably and also the words column and field interchangeably. GPGPU - Manifold automatically uses NVIDIA GPUs for massively parallel computation. NVIDIA GPUs of Fermi class or more recent which NVIDIA supports with CUDA are required. See the GPGPU topic for details.